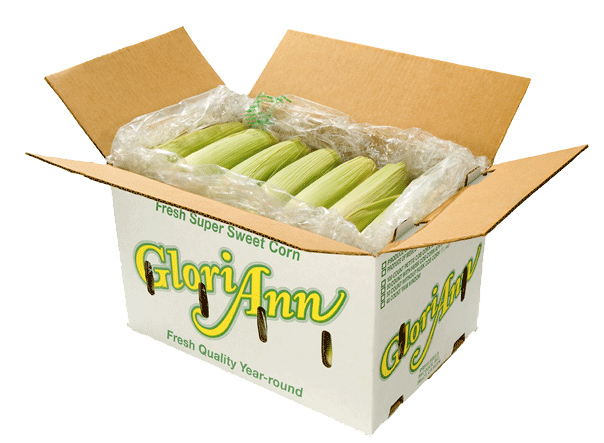 From casual to fine dining, GloriAnn Sweet Corn is perfect for all your food service needs! GloriAnn offers a variety of cuts and pack styles to accommodate any menu with year-round fresh sweet corn. Whether you’re looking for a traditional cob, a mini or half cob, a handled cob, or loose, iceless corn, we have the fresh, delicious sweet corn you’re looking for that’s never frozen. Working closely with all our growers enables us to provide the best quality, year round. If you’re interested in our food service products or would like more information, please contact us at (831)761-1900. GloriAnn is putting an end to iced corn with this value-added sweet corn that’s leaving the competition out in the cold! Shipped in an iceless, no wax box, meaning no drippy mess, this corn is not only cleaner and safer, but also has an amazing shelf life without ever being frozen. In addition, these delicious ears are sorted and packed for consistent size and uniform portions, with shank, silks, and flag leaves trimmed. Add it all up, and it’s easy to see customers’ preferred choice, offering less mess and significantly more fresh flavor.